I found another great recipe on pinterest that I had to share. 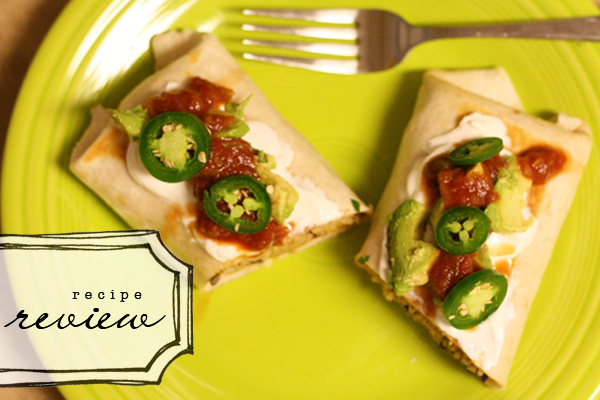 This one is a pretty quick dinner idea and my whole family loved it. The husband termed it quesaritos, because they're kind of a mix between a quesadilla and a buritto. Here's a link to the recipe from Mel's kitchen cafe. She mentioned that the original idea came from Cooks Country. By the way, have you ever watched that show? It's really good and makes me hungry every time. I think it's on Saturday mornings. 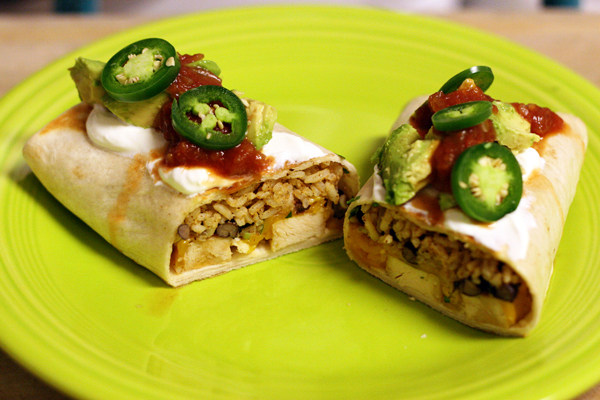 Anyway, the things I liked most about this recipe were: it was fast, easy and really tasty. I had a bag of pre-cooked chicken strips in the freezer so I used those instead of the shredded chicken. I also added a few fresh toppings but other than that, I kept with the recipe. 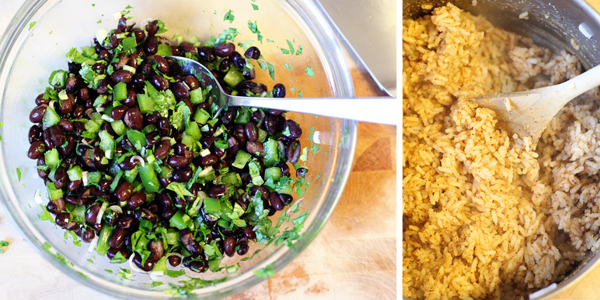 First you make the lime-cilantro-black bean mixture (which happened to be my favorite part - next to the cheese) and cook the rice. If you have pre-cooked chicken, that's all the cooking that's involved! 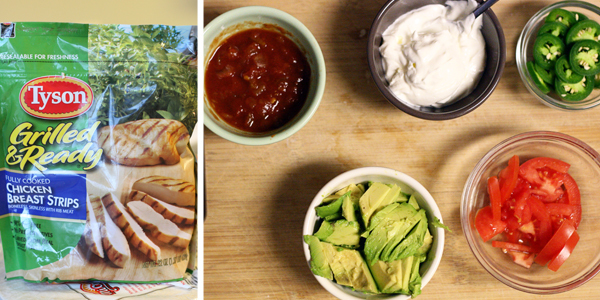 Then you just assemble the "quesaritos." I bought the huge burrito sized flour tortillas and it made six. Then you put each one in a skillet (with a little melted butter) to crisp up the sides, top with sour cream, salsa, fresh jalapenos and avocados and eat. And your meal is complete! Cook's Country magazine is the best cooking magazine ever published :) This recipe looks great! Lovely, lovely pictures, Lesley! Thanks for the link back...I'm happy you enjoyed the recipes and I love the new name your husband dubbed them with! yum! looks awesome, thanks for sharing!